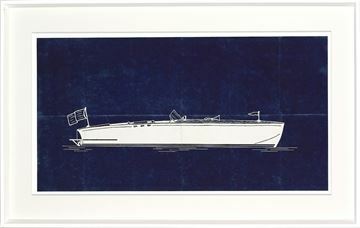 The joy of the classic, wooden boat is illustrated in navy and white, blueprint style. 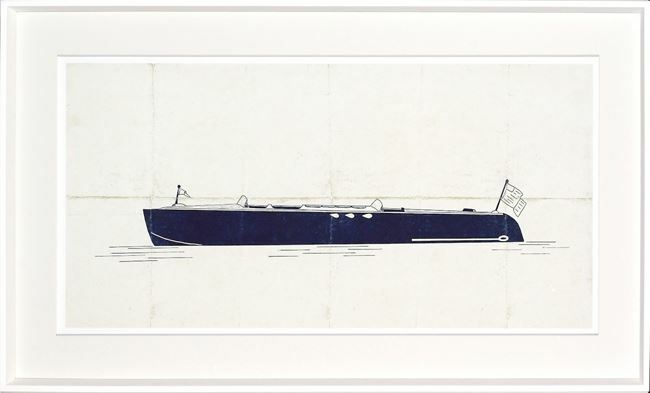 The joy of the classic wooden boat has been captured here in these classic, blueprint style drawings in characteristic navy and white. Each is set with a raised matte and clean, angled white frame. 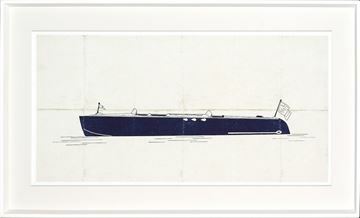 Varying layers of board are laid underneath the matte to create depth within the frame space.